Today is the last day of an amazing journey that began in 1989, when I was 14 years old. I was already programming since 11, but mainly using BASIC and some Z80 assembler, so when I got my hands in a Turbo C++ copy, I started to fall in love with Borland software development tools. At that time, Borland sounded like a dream company to work for, but in 1994, I was fortunate enough to join a company that wanted to create a software development tool for COBOL. That company was owned by a man called Ventura Cartagena, from whom I learnt that you don’t have to comply with the established order and you can do a lot of things if you dream big and work hard. 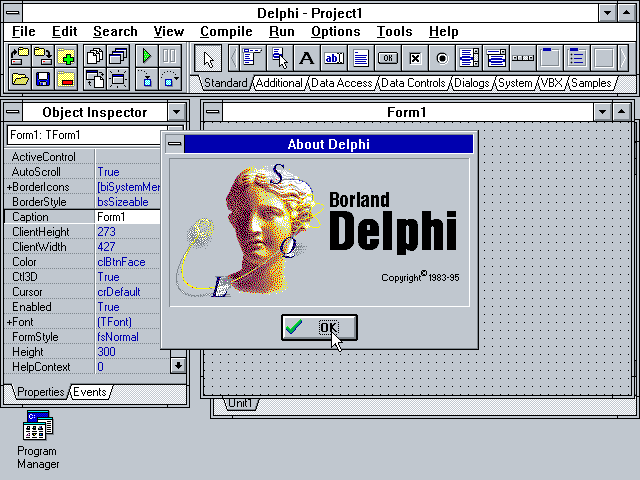 He wanted to create such development tool for COBOL, and after some prototypes using Visual C++ and Visual Basic, we got the news that Borland released something called Delphi. It was 1995, and I still remember installing it using fourteen 3 1/2″ disks, crossing my fingers hoping all of them were in good shape, then, starting it, dropping a button on a form, writing a simple ShowMessage(‘hello world’) and hitting F9. It was amazing get a native .exe, be able to write code in Pascal, and create Windows apps without having to fight with the Windows API. Develop such product allowed me to become a Delphi expert, as I had to push the product to the limits to get the job done. It was 1998, and web development was the thing, but Delphi fall short for creating web pages, so I started to use PHP and, while I liked it a lot, coming from Delphi, I felt it was a step back in productivity. Before releasing it, in October 2006, Michael Swindell (from Borland at that time) contacted me to get more information about the product, we got into an agreement, and in 2007 I flew to Scotts Valley, California, to work there for two months and finish the product. I was still able to enjoy the magnificent Borland campus, a wonderful workplace that I will never forget. The first version was released after two months of hard work, with the essential collaboration of Diego Navarro, I could have never completed the product without him, as he was working very early in the morning in Spain, so we had some hours to sync up the project. And that’s how Delphi for PHP was born. In 2010, three releases later, Embarcadero made me an offer to buy the IP for the product, and build a 25 people team in Spain, in order to work on Delphi for PHP and RAD Studio. Was a tough decision, because for me it was to get back to “employee mode”, but I’m happy I did the right thing, as I could have never imagined, when I was a 14 year old boy, that someday I was going to be part of that company. The initial decision of a 25 people team it turned out to be a 107 people team, to work not only on RAD Studio, but on the rest of Embarcadero products. In 2015, Embarcadero was acquired by another company. In those 5 years, we managed to double the number of releases of RAD Studio, added more platforms, added amazing features, fixed thousands of bugs and, specially, provided customers reasons to buy a product that now was evolving to meet their needs. 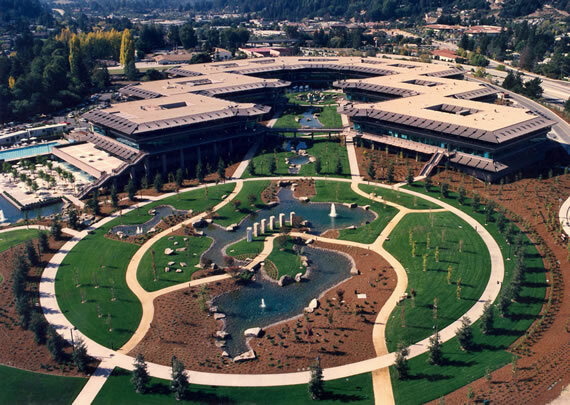 In 2016, the new management decided to change the Embarcadero strategy of having employees working on the product, and started to shutdown all the R&D centers, including the Spain office. It has been an amazing ride, I have met a lot of people, I have travelled a lot, and, specially, I have learnt a lot of things that, I’m pretty sure will be useful for the future, but this part of my life is coming to an end. I’m not sure about the future of Delphi, a product that provided me a lot of great moments building incredible stuff, but I would really hate stops evolving, so crossing my fingers for that not to happen. Delphi has been my front end development tool of choice since 1995 when it was released and before that Turbo Pascal was my development tool of choice. 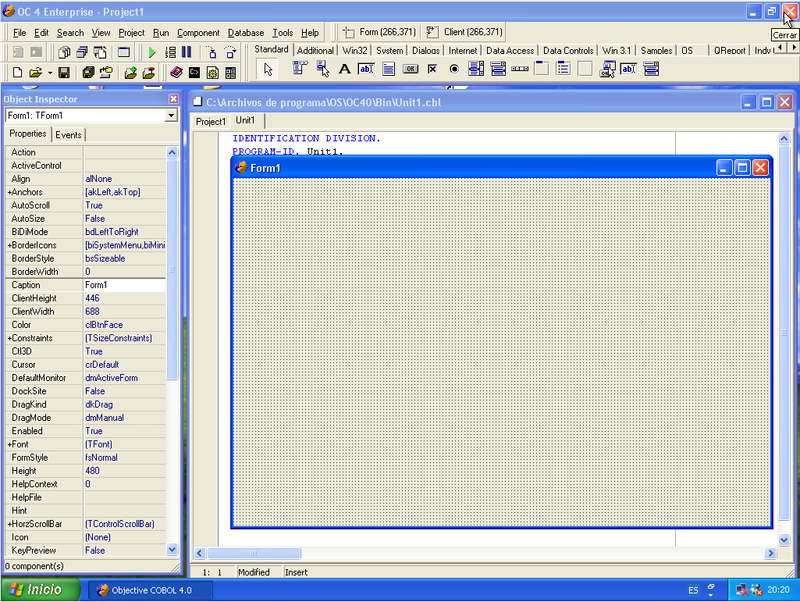 Pascal and Delphi are really intuitive to use and it is especially easy to maintain software written in them. And today, using Delphi, one can develop native applications for Windows 32, Windows 64, Mac OS X, iOS, Android, smartwatches, IOT (internet of things), etc. My journey with programming started with programming in Assembler and then in 1979, I become Cape Town’s first Apple and BASIC expert, at the ripe old age of 15. I worked in the new Computers Etc shop in the new Link shopping centre in Claremont and by the end of the December holidays, I knew BASIC inside out. BASIC stands for Beginner’s All-purpose Symbolic Instruction Code. I was born BC, Before personal Computers, and at UCT, in 1983, I was part of the last generation of students who used punch cards on a Univac 1100 mainframe. I journey in Pascal started in about 1980 on an Apple II with a Z80 card, running CP/M. And Pascal ran on this hardware and software stack. Anything anyone can do in C, I can do in Pascal. I can blaze a trail in Pascal, named after Blaise Pascal, a child prodigy like me, who couldn’t catch (school work) and didn’t understand (stand under authority or fit in) at school. And I am a Delphi evangelist, using both the Delphi front end development tool with the Oracle relational database management system, hence I might be called a Delphi at Oracle. The programming language Delphi might be at the end of its useful life, but there is a free version of Delphi called Lazarus, the subject of yet another miracle. The zero marginal cost economy ethos says that the marginal cost of everything in a capitalist society will be driven towards zero and perhaps Lazarus is a true successor to Delphi. Licensing Delphi is about R15,000 per annum. Theoretically licensing Lazarus is free, an infinite decrease in price! I am happy to be a programmer. The value I bring to the world is as a guide, guiding guidées to emerge their incipient value, and I am helping people to reprogram their minds by understanding the words they use. I continue to remain your servant. A guide at My Power Station. 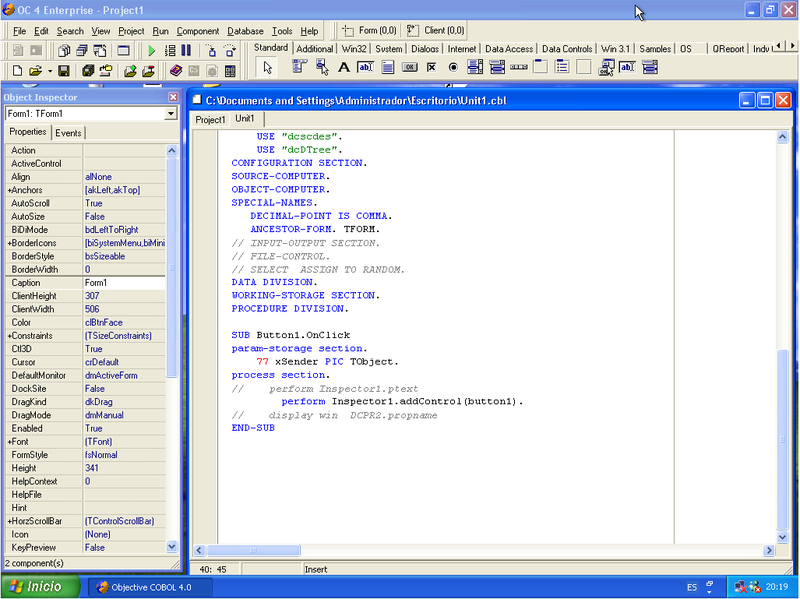 Delphi for php was a great product, I used it for 2 years, and developed a framework over it for dB Web Apps. D4PHP Had several issues yet was simply unique, had a lot of potential. Embarcadero took over it and it’s future became uncertain. It’s sad, that all is over now. From Mexico, wish you the best. There was nothing and there is nothing now like D4PHP. If you re-take a similar project in the future, let me know. I’d be interested in your product. Thank you very much for the insight look of this truly amazing ride. And for your great passion, effort, and work. I wish you all the best. I am sure that even as a long term developer – better especially as one – there are enough dreams left, you want to go for. I really don’t like that part. And like you, I am keeping my fingers crossed. y el produtco ya no cubre las necesidades de hoy en dia : Android, Ios y web. La pregunta es: ¿ y ahora qué ? Pues simplemente a esperar. Aun tengo una mínima cuota de esperanza con respecto a que continúen de alguna manera con el desarrollo , quiero o me niego que creer que Idera sea tan estúpida de pagar una fortuna por una herramienta y simplemente dejarla morir. I actually loved the php IDE’s. I remember the tickles in my belly when I saw some demonstration videos of qadram studio at work. I couldn’t believe that something like that would be possible. When i first used Delphi4PHP it didn’t disappoint. It’s still the best IDE to develop graphical php stuff. Phpwebstorm lets me edit php code, but i can’t design or integrate a gui. 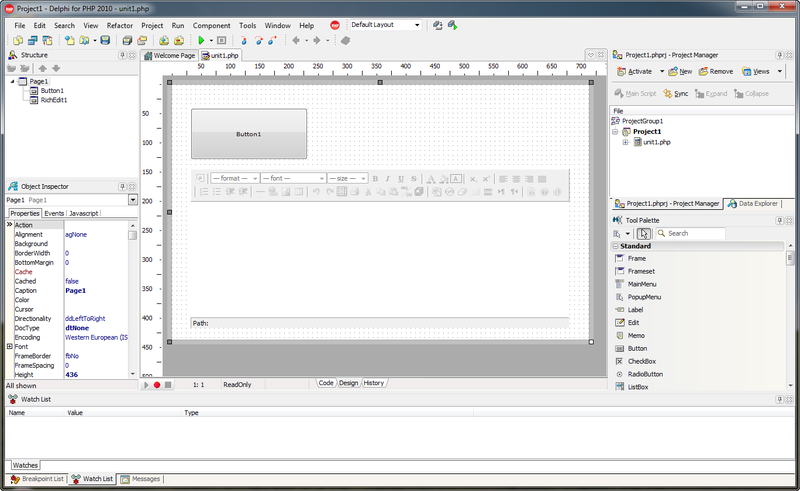 And there’s some tool that lets me graphically design extjs gui’s, but it doesn’t let me edit the code behind it. 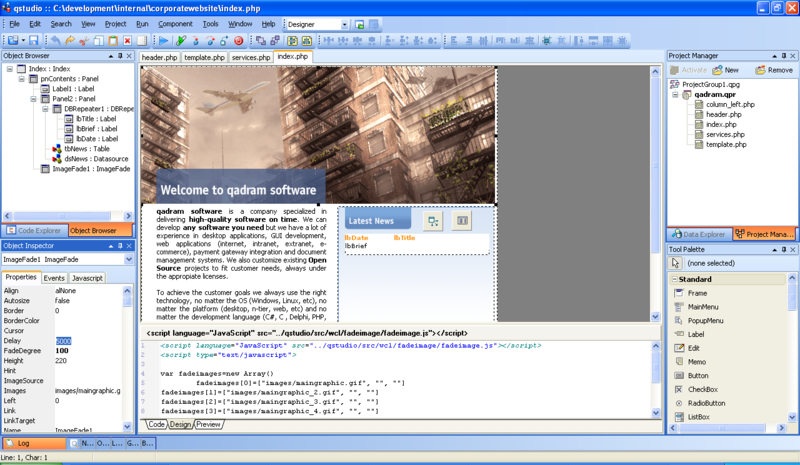 I also used delphi4php it to edit plain php websites because the editor was so nice to use. It tries to detect the return type of functions, which helps in a dynamically typed world. I also wrote some custom components and property editors. It’s a pity that the product didn’t get more attention and that it just seems to have faded away. Idera probably won’t update it, and they probably won’t release the source code either. A lot of talented people have now been removed from the Delphi team, and they all express their worries about the future of Delphi. I guess that’s not a good sign. Es una verdadera lástima porque Delphi llegó a ser el líder RAD, pero por la lenta reacción se eclipsó por Lazarus. Delphi seems to be going strong. How come you made this mistake? See https://www.tiobe.com/tiobe-index/. Delphi is now a top 10 programming language.